Here is the 1:55 scale Mattel release of Officer Murakami! 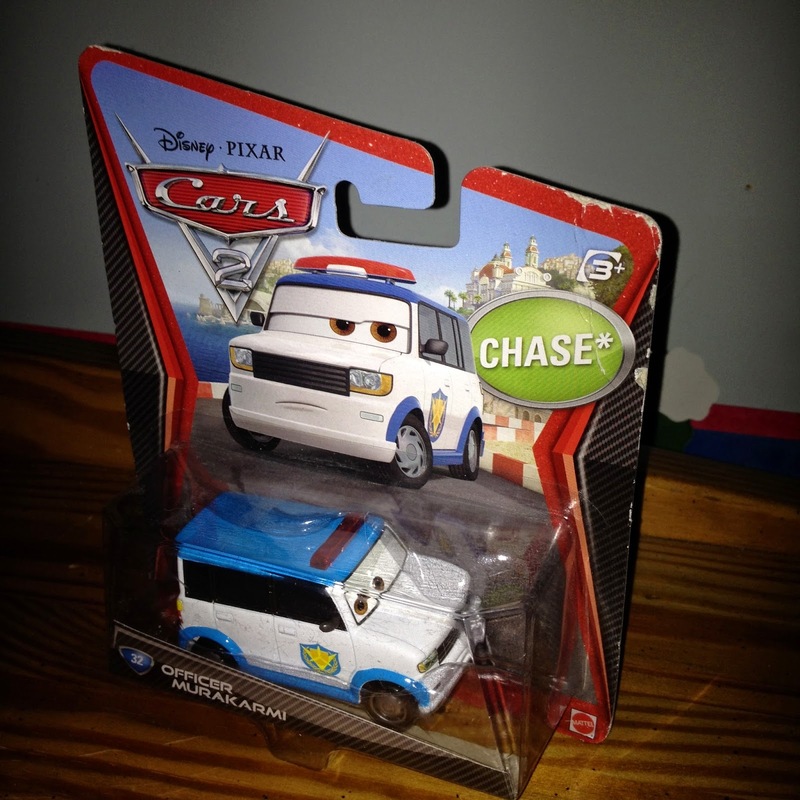 This character was released in the original Cars 2 series in 2012 (#32) and is a "chase" edition (which means a limited quantity were made which made him harder to find at the time). 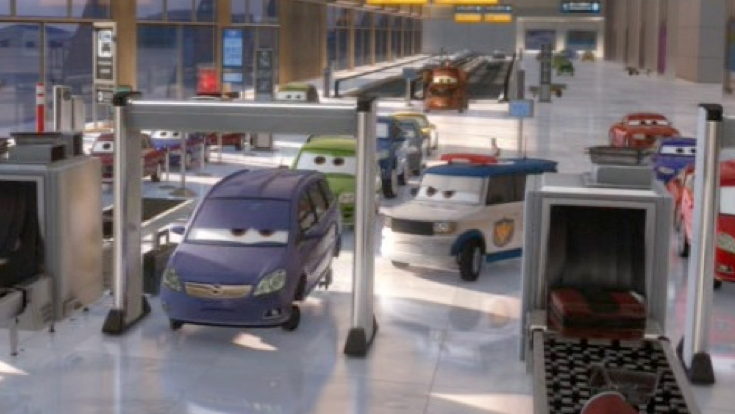 As seen in the screenshot above, Officer Murakarmi is an airport security guard and can be seen very briefly during the film's Tokyo airport sequence. If you're still looking to pick this one up, be sure to check out Amazon or eBay for the best deals. Toy Story: An Interactive Pop-Up Book and BEYOND!